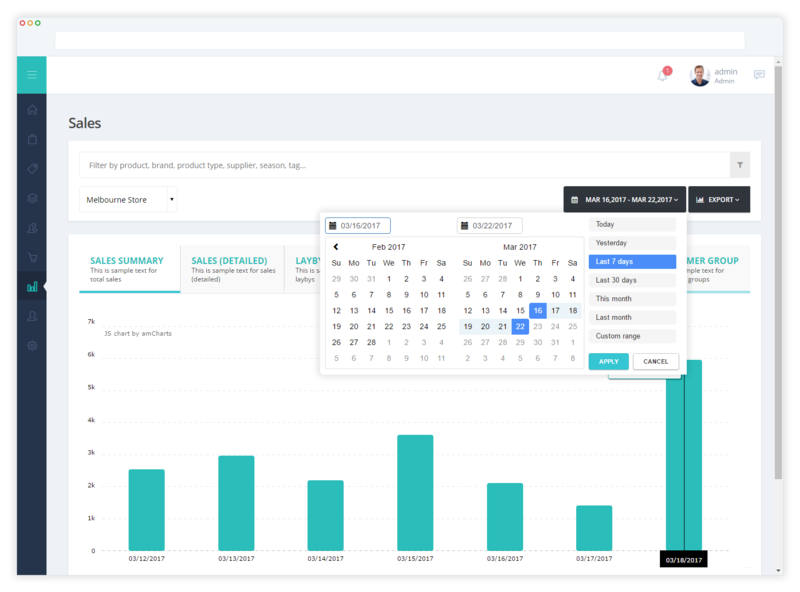 Hike is designed to help retailers manage their roster, employee performance, access control and more, right from their POS dashboard. Hike makes ALL aspects of business retailing easier, including how you manage your employees. With Hike POS, gain complete access to your staff’s roster, enabling you to make any changes necessary on the fly. 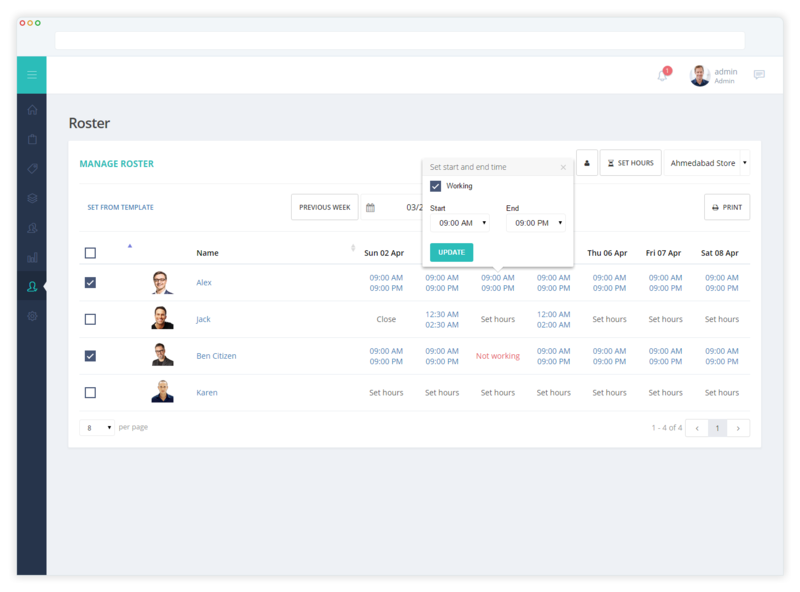 Schedule your staff’s working hours, manage their public holiday leave and organize shifts with our easy to use roster management system. Even manage the occasional shift change or annual leave. Yes, Hike and our employee management tool, was designed to be available to you anywhere. Don’t waste your time trying to commit rosters to memory. Hike POS gives you real-time information that you can access from the comforts of your own home, 24 hours 7 days a week. The employee management tool gives retailers the ability to set permissions for all your staff – even across multiple stores – in real-time with ease. With a unique passcode, you can specify who works at which store and he/she will be given access to the section of Hike that relates to their role. Determine who gets to edit inventory or give refunds by their role. Tips and commissions your staff receive, can be tracked to each user account at the end of the day. Moreover, your employee management tool can see when your staff clocks in and out from Hike, calculating any overtime payments instantly. All transactions made in Hike are recorded under the staff member logged in, providing retailers a more holistic view of their business. Additionally, it can be useful in calculating performance based payments and reviewing transaction histories. Find out who your best employees are and see which ones that need improvement. 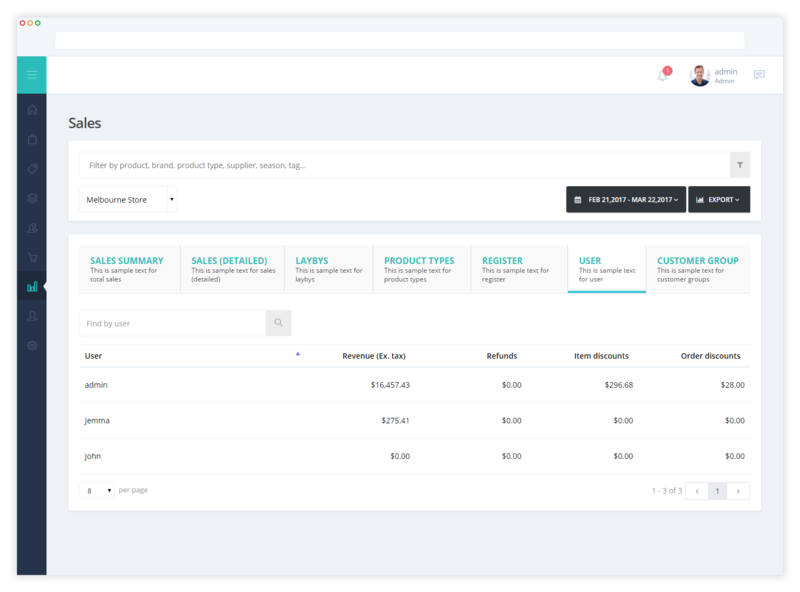 Set custom employee reports gain more refined insights into your business, by selecting filters that help you understand a certain aspect more in depth. Get precise reporting to your payroll department, with details on the number of hours worked by each of your employees for a specified date range. Import your staff into Hike using a CSV file or just add them through Hike’s dashboard, and assign them to new locations in just a few clicks. Take advantage of Hike’s employee management tool to set your staff working on-the-road. All they’ll need in a mobile device like the iPad to start selling goods, and a log-in ID. Employee passcodes allow you to keep track of who processed each transaction. Employees clock in and out at the point of sale. Edit hours anywhere and transfer them to Hike Payroll. With employee passcodes, there’s no math involved in figuring out tips and commissions. 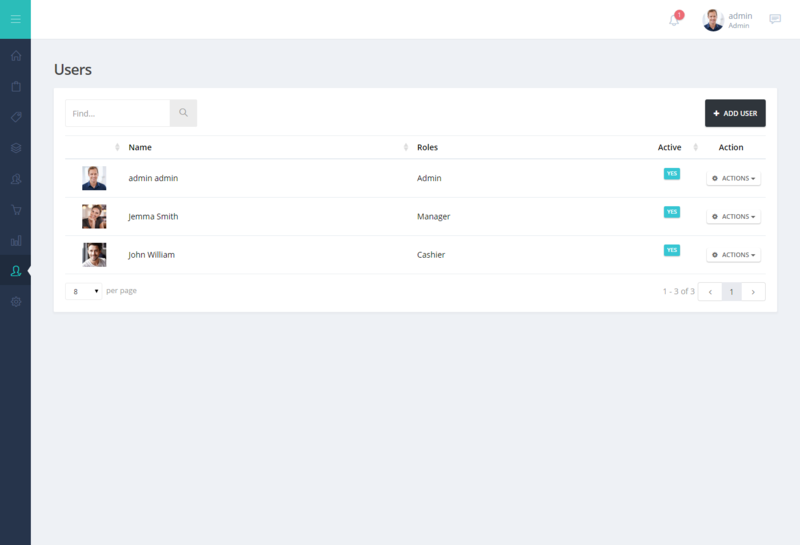 Give different employees/roles different levels of access to your Dashboard. Hike has clients in over 65 countries, and our excellent support team is available to help 24/7, wherever you are in the world.